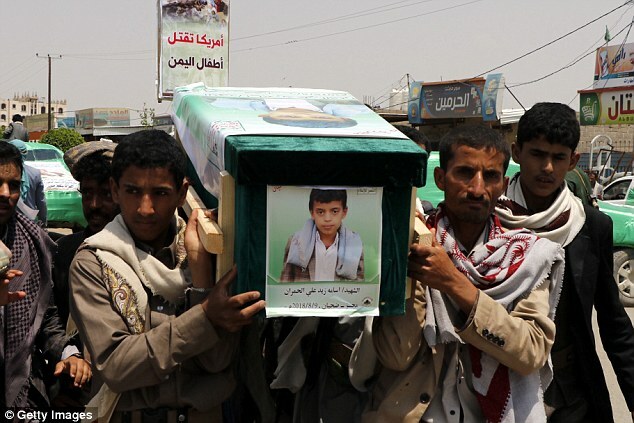 The bomb that was used by the Saudi-led coalition that killed more than 40 children in Yemen earlier this month was sold in an arms deal that was sanctioned by the US State Department. Munition experts were able to determine that the weapon used to kill dozens on August 9 was a 500lb laser-guided MK 82 bomb made by Lockheed Martin,CNN reports. Lockheed Martin is one of the US top defense contractors. 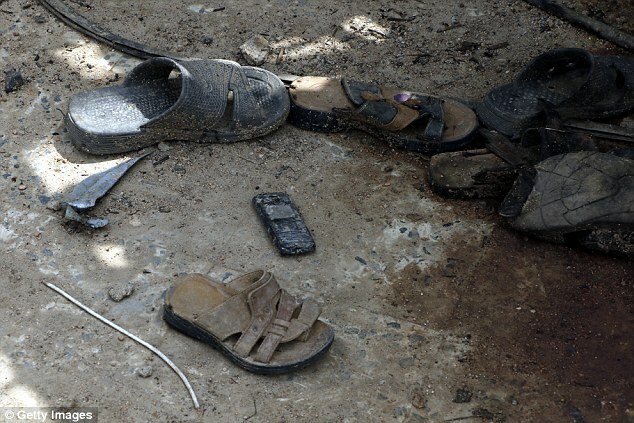 Munition experts used a number found on a piece of shrapnel to determine the bomb's origins. 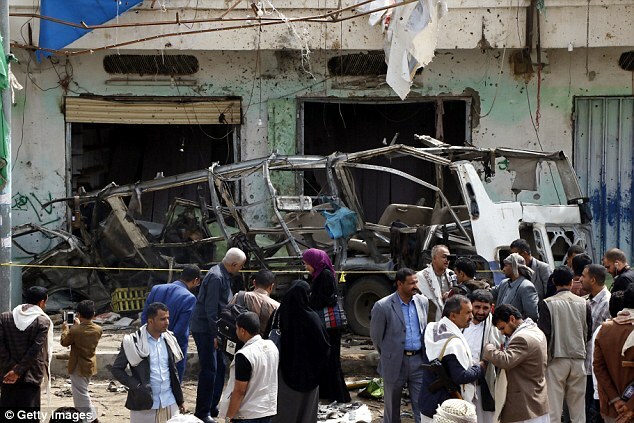 The bomb used was very similar to the one used to bomb a funeral hall in Yemen in October 2016. 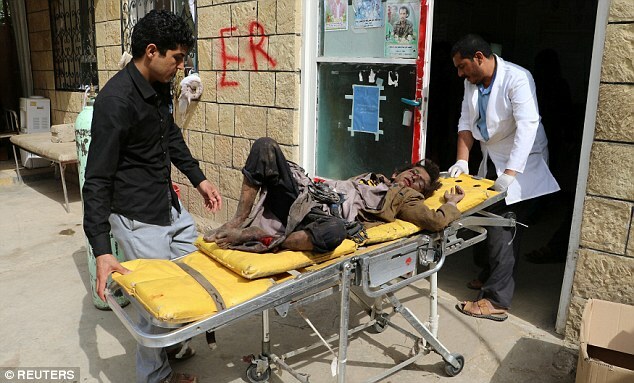 The Saudi coalition claimed that 'incorrect information' led to the strike that killed 155 while wounding hundreds more. 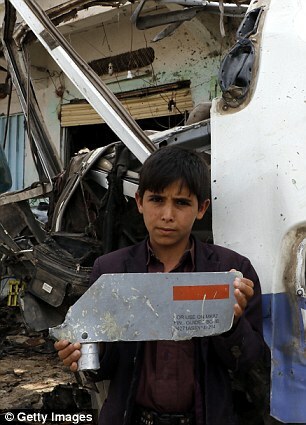 Just earlier that year, in March, a US-supplied precision-guided MK bomb struck a Ymeni market and killed 97 people. In March 2017. President Trump's then-Secretary of State Rex Tillerson overturned the ban. The US was quick to assert that it did not make targeting decisions for the Saudi Coalition that is fighting a rebel insurgency in Yemen. However, the US does conduct billions in arms deal with the coalition and aids in the refueling of Saudi combat crafts. The two groups also share intelligence. The students involved in the latest strike had been out enjoying a day trip when catastrophe hit. 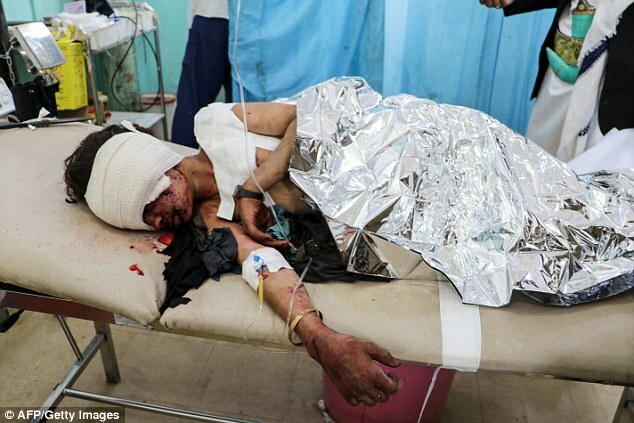 In total, 51 people died in the airstrike while another 79 were wounded. 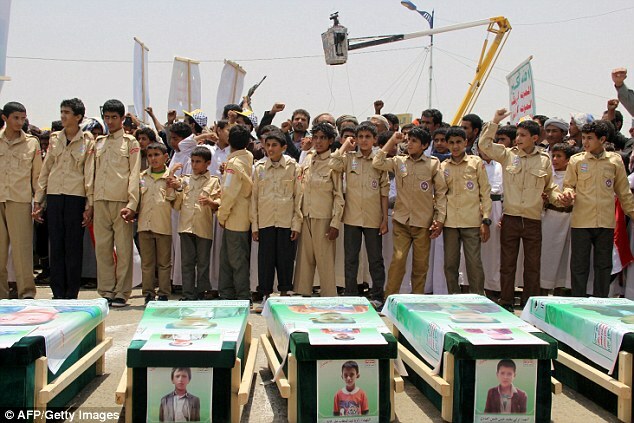 Of the number of those killed, 40 were children, Houthi Health Minister Taha al-Mutawakil said last week. He stated that 56 children were injured. And according to witnesses near the scene, the bomb made a direct hit for the bus. So many of the bodies were so badly mutilated that identification for them proved to be impossible. 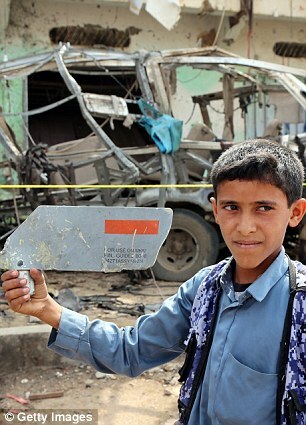 A single backpack, schoolbooks, shoes and warped metal were all that was left in the destruction. 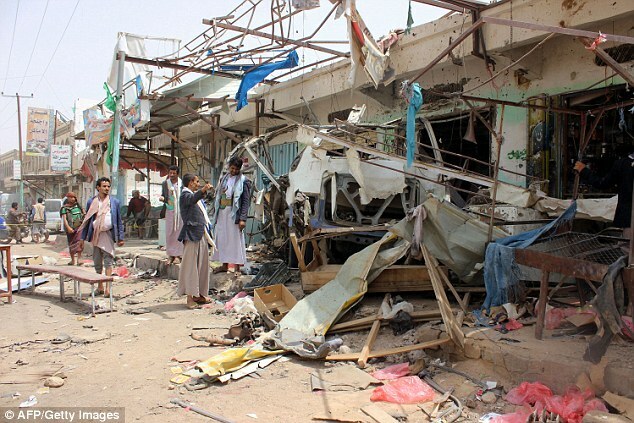 'The US has worked with the Saudi-led coalition to help them improve procedures and oversight mechanisms to reduce civilian casualties,' said Pentagon spokeswoman, Lt. Cmdr. Rebecca Rebarich. The UN plans to conduct a separate investigation for the strike. 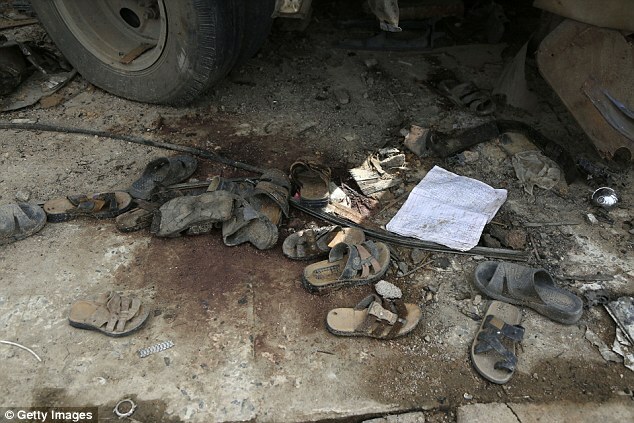 When prompted, al-Maliki claimed that the bus strike was a 'legitimate target'. In response to the bombing, US Secretary of State Mike Pompeo spoke with Saudi Crown Prince Mohammed bin Salman on Monday. The US is working to place distance between it and civilian bombings by placing pressure on the coalition.